Here is what the Secret Greenhouse of Survival book by Rick Austin, is all about! Which one of these is a greenhouse? Which one produces more food? Which one will the zombie hordes attack? Answer: They are all greenhouses, but the one in the middle produces 5X more food per square foot than a traditional greenhouse. And it is disguised to look like an enclosed porch, so nobody knows you have food growing there. This book is a simple, straight-forward, step by step approach to creating your own Secret Greenhouse of Survival, and it’s easy and cheap to build! 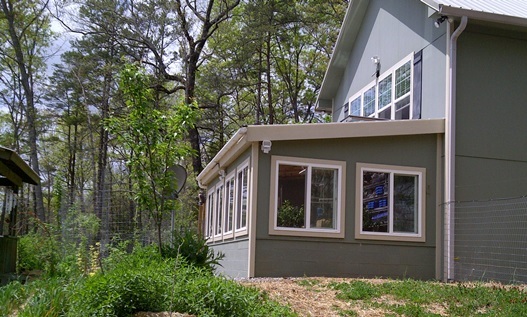 This is the ultimate sustainable homestead greenhouse, but it purposely doesn’t look like it. Imagine a greenhouse that heats your home in the winter; and heats your water; that grows five times more food per sq. ft. than a hoop house; that provides food for you and your family all year long; where your food grows in 3 dimensions; where you never have to use fertilizer; where you never have to use pesticide, and where you can grow exotic foods (i.e. citrus or coffee trees in New England); that allows you to start seedlings in the spring; that hides your solar electric system; and that can house your small animals or incubate chickens and ducks. This greenhouse does all that. 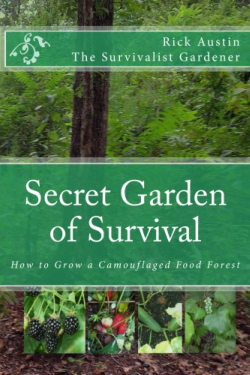 Written by Rick Austin, the Survivalist Gardener, the author of the #1 Best Selling book in Garden Design- The Secret Garden of Survival- How to Grow a Camouflaged Food Forest. Co-Founder of SEPS LLC, Doomsday Prepper, and Author of, "Survival and Emergency Preparedness Skills (SEPS): Mental, physical, and spiritual readiness for uncertain times." (Oaktara 2012) and "The Last Fall" (OakTara 2010). Sometimes the best ideas are the ones that provide a simple solution to multiple problems. It would have been enough to write a book on building a quality greenhouse; but this book goes much much further. This is a greenhouse, disguised as a porch, that not only allows you to grow food year-round but it also helps heat the house, produces hot water, dries your clothes and saves you lots of money. These ideas when put into practice elevate the concept of self-sufficiency to a new level. Now imagine having all these benefits, even in a grid-down situation. This amazing book provides a step-by-step guide on how to build your own secret greenhouse, and many tips and ideas on how to get the most from your efforts. Great pictures, illustrations and easy-to-follow instructions. Highly recommended. Sustainability is more than just being self reliant; it is also about working smart. I benefited greatly from Rick`s first book Secret Garden of Survival- How to Grow a Camouflaged Food-Forest in realizing if I didn't want to be constantly redoing things around the farmstead that permaculture was the way to go. A green house that makes hot water? Well I can see that could be easily be incorporated, but a system that also works as a clothes dryer shows you just how far the authors thinking out of the box will benefit you. 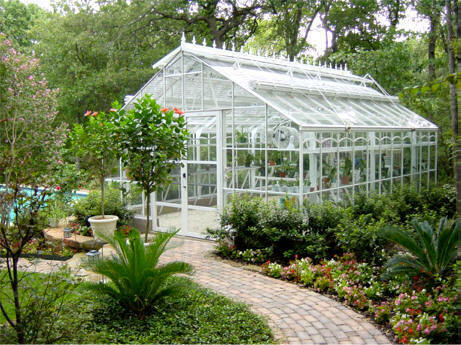 This is the ultimate homestead greenhouse, but purposely designed not look like one. It looks like a nice porch add on and will not be recognized as your own personal food factory by passersby. It is much more efficient than a traditional hoop structure and has the added benefit of helping heat the house in Winter.. I can't read one of those rafter squares to figure out my angles but Rick thought of that and made the geometry very simple. The book is straightforward and teaches you step by step in easy to understand diagrams just how to build it. I recommend this book highly for both the prepper and backyard gardener. Rick provided me with this book for review knowing my love of the land and I can tell you right now that I began envisioning how I was going to add his designs to my own home after reading the first few pages. I think I will be gardening more inside now than outside. This is an excellent book for building and using a Greenhouse. I bought the electronic version so that I could get started right away. This book is very informative, the pictures are great. We will be using this information as we develop our own secret greenhouse of survival on our property. Great information for anyone who is just starting to think about having a greenhouse. Easy to do with great results. This is a very precise and informative book. I can see results already at my house even though I have had the book a very short time. I was able to turn my unused ,south facing catch all storage area into a great greenhouse with a minimum of effort because I already had a roof over the area. Using some double pane glass doors I had come by I was heating up in no time. Right now I am using 5 gal. buckets to plant in until I can make some raised beds.Outside temp. 32 F.,inside 58 F. It is working for me.Try it and you will say the same. Extremely Informative and Useful Info. I was hoping that Rick Austin's follow up to Secret Garden of Survival would be as good as the first book, and I was not disappointed. I finished the book in two days, I was so excited to pass it onto my husband so he could begin building plans for this Spring. The detailed instructions and photos of the process are very helpful to both newbie and experienced builders and preppers. I highly recommend this book! I am not the gardener in the family, but I have promised my wife (who is the gardener) a greenhouse so she can extend her growing season here in the Blue Ridge Foothills. 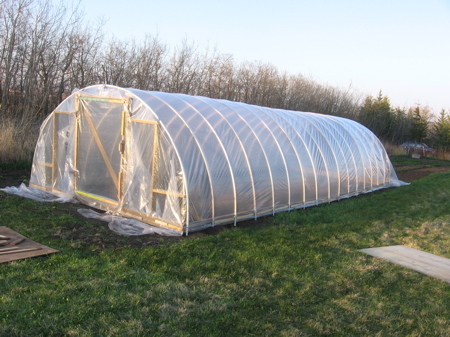 What I had in mind was a conventional greenhouse or even a more rudimentary hoop house -- even though I saw Rick's greenhouse as it was being constructed and have been fed with its produce. Until I read the book, I had never really considered the possibility of expanding the functionality of a greenhouse to include solar space and water heating. I did my first design of an energy efficient house in 1966 and have done a fair share of building projects over the years, so I was not looking at Rick's book as a comprehensive how-to-do-it building manual -- although it does in fact contain sufficient detail for a reader to plan the project and even do the construction if the reader has some fundamental building skills and knows one end of a screw gun from the other. What I (as a non-gardener) found in Rick's book was inspiration to actually undertake a greenhouse project and a knowledge base that gave me the assurance that it was a project that I could successfully complete. In addition, the book contains tidbits about making a greenhouse work that were previously unknown to me. Who would have thought to transplant spider egg sacks into the greenhouse to introduce spiders to control harmful insects? The reader only has to get a few good ideas from the book for it to be more than worth the purchase price. There are far more than just a few good ideas there. This is a must for ANY homesteading, self-sufficient or preparedness library! After reading and implementing some of Rick Austin's practices from' Secret Garden of Survival' I have been anxiously awaiting his newest book, The Secret Greenhouse of Survival. I was NOT disappointed! Rick has an amazing way of not only giving you the `what and why' but the how. Having a resource like this is priceless! He answered all my preconceived ideas of what I wanted to have to in a greenhouse and also showed me how expand this design into saving money with not-so-hard additions. The money I will be saving on this project plus the addition of heating my hot water will help to expand other areas of our self-sufficient homestead. I think we have another best seller here! 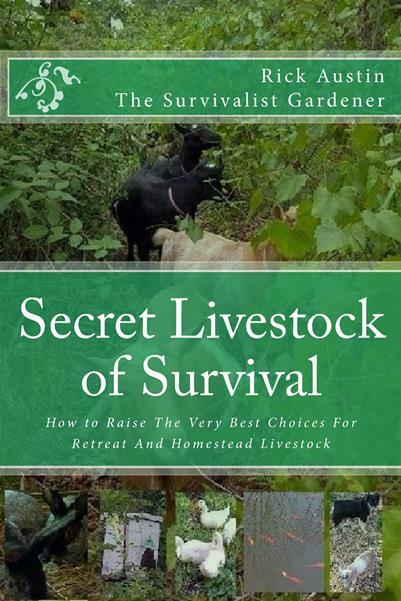 This is a must for ANY homesteading, self-sufficient or preparedness library! . Author Rick Austin may have another best-seller on his hands. TheSecret Greenhouse Of Survival: How to Build the Ultimate Homestead & Prepper Greenhouse is available on Amazon in both print and Kindle version now. The first survival gardening book penned by Austin — Secret Garden of Survival: How to Grow a Camouflaged Food Forest — hit the number one spot on Amazon’s Garden Design list. Gardening in winter, especially in a sustainable manner can be quite difficult. Bestselling garden design author Rick Austin recently sat down with The Inquisitr to discuss the process and to share some details about his new book, The Secret Greenhouse Of Survival: How to Build the Ultimate Homestead & Prepper Greenhouse. Austin’s latest sustainable gardening book penned is a follow-up to bestseller Secret Garden of Survival: How to Grow a Camouflaged Food Forest. Rick Austin is an off grid living and homesteading expert who tours the country speaking at conferences when not busy writing or working as a consultant for the National Geographic network and a renowned homesteading keynote speaker. The Secret Greenhouse of Survival is at least as informative Austin’s first sustainable gardening book. The work is far more of a descriptive “how to” manual than a novel heavy on lengthy prose and light on useful information. Austin approaches survival in the same manner as many preppers, as yet another form of insurance against the unexpected. If your long term prepping and survival strategy includes sheltering in place in a secure location, growing your own food is an important component of what you’ll be doing. Rick Austin, the man who wrote about a secret garden of survival, now tells us about a secret greenhouse of survival, and it could make a big difference in growing your own food. 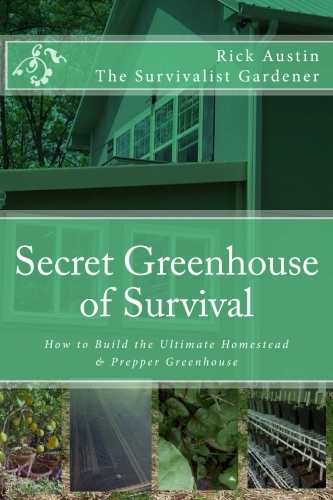 Rick was my guest on DestinySurvival Radio yesterday to talk about his latest book, Secret Greenhouse of Survival- How to Build the Ultimate Homesteader and Prepper Greenhouse. He was on with me last year to talk about his first book, and you can view my post about it here. Interview on Freedomizer Radio with Doctor Prepper- (95 minutes in).